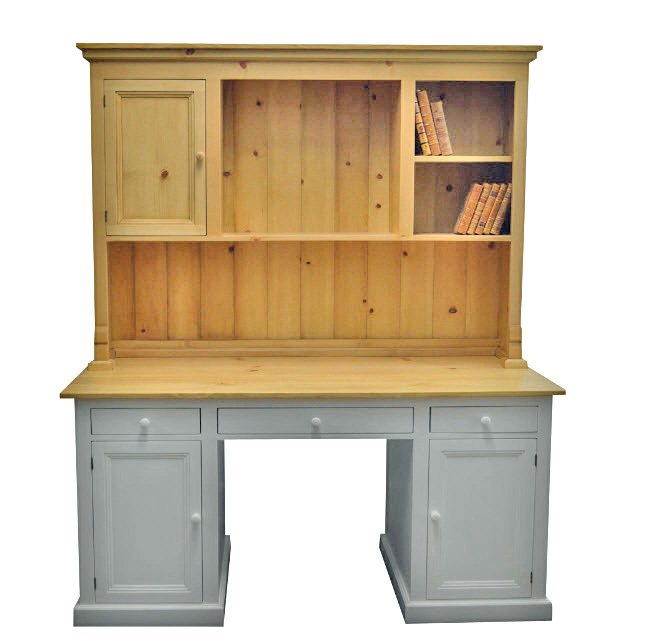 The Kitchen Desk and Hutch offers traditional farmhouse style and plenty of storage and serving space. 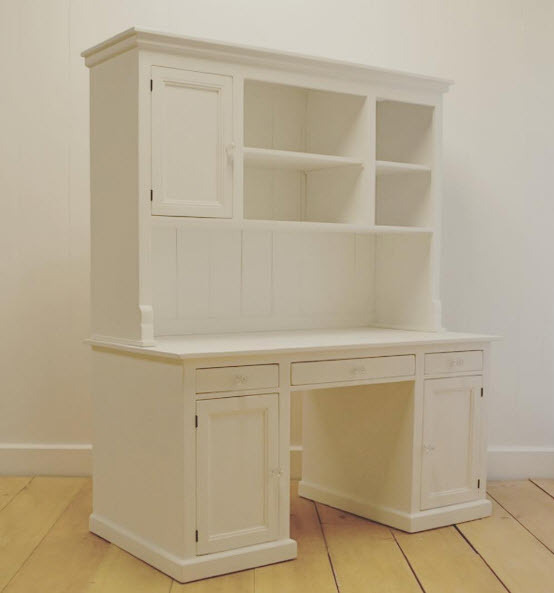 Perfect for the kitchen, office, bedroom or study. 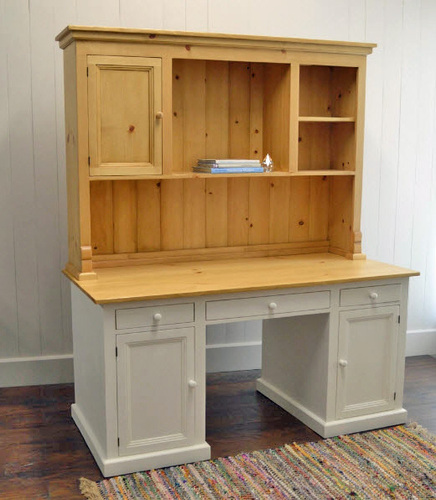 This cottage furniture collection is Artisan crafted in the USA, using traditional woodworking methods. Handmade from solid wood and finished by hand in the color of your choice. Choose your favorite Sherwin Williams or Benjamin Moore color or one of our standard stains. Your paint finish is mixed with a light lacquer and lightly distressed. Since only light lacquer is used, your painted piece will fade and patina over time like a rustic cottage piece will do with use. If this is not the look you want to achieve, we recommend choosing a stain for your chair seat or table top, as it will last longer than a paint. You will see the brush strokes on painted pieces, adding to its cottage charm. Given its handmade nature, variations in the wood are to be expected and celebrated. ** Please note your custom color choice(s) in the Special Instructions Box at checkout. Custom made upon order in the U.S.A. by skilled craftsmen in about 12-14 weeks.